This is our review of the Noctua NH-U14S DX-3647 LGA3647 cooling solution for Intel Xeon Scalable processors. 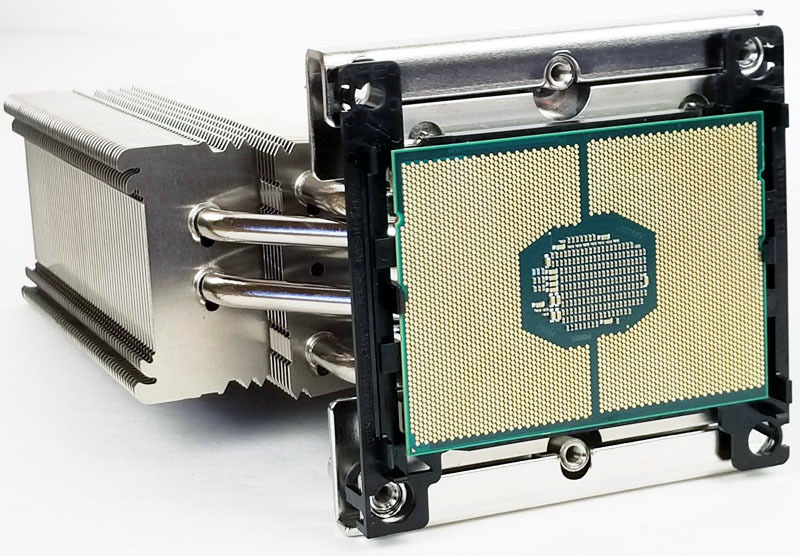 If you have been using Intel Xeon Scalable CPUs in socket LGA3647 motherboards for a workstation, you will have noticed there are few choices in heatsinks to use. Most options are loud and do not handle high workloads well since they assume high server airflow. The heat output from the coolers is high and small fans make too much noise. Noctua has an answer. Here in the lab, we have been using Noctua heatsinks for all of our socket LGA2011 workstations and are very happy with them. 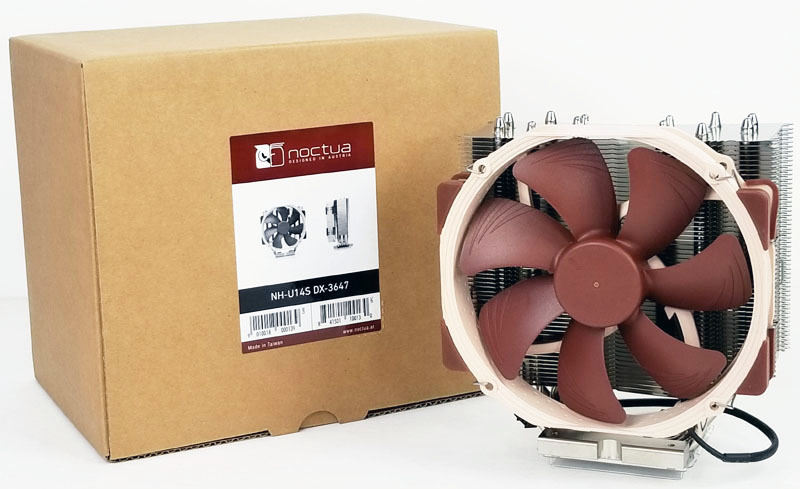 When Noctua released their new line of coolers for socket LGA3647, we were eager to test these new coolers. The heatsink we have here to test today is the NH-U14S DX-3647, this is an impressive heatsink, perhaps the best we have used. 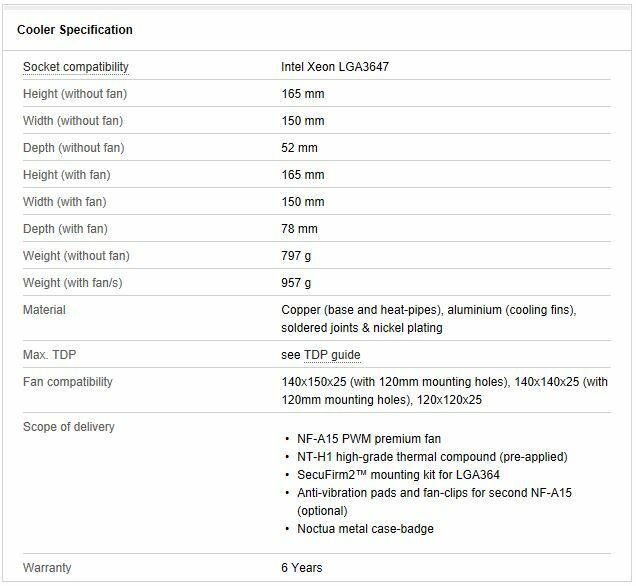 Let us take a look at Noctua’s new NH-U14S DX-3647 cooler and how it compares to some of the more common server/ workstation cooling options. Noctua continues its traditional tower designs with the NH-U14S DX-3647, in this case, it fits an enlarged base to match Intel’s Skylake-SP Xeon Socket LGA3647 processors. These new CPUs grew in surface area by a significant amount in this generation. At 165mm tall and 957g in weight, the DX-3647 are large and heavy. 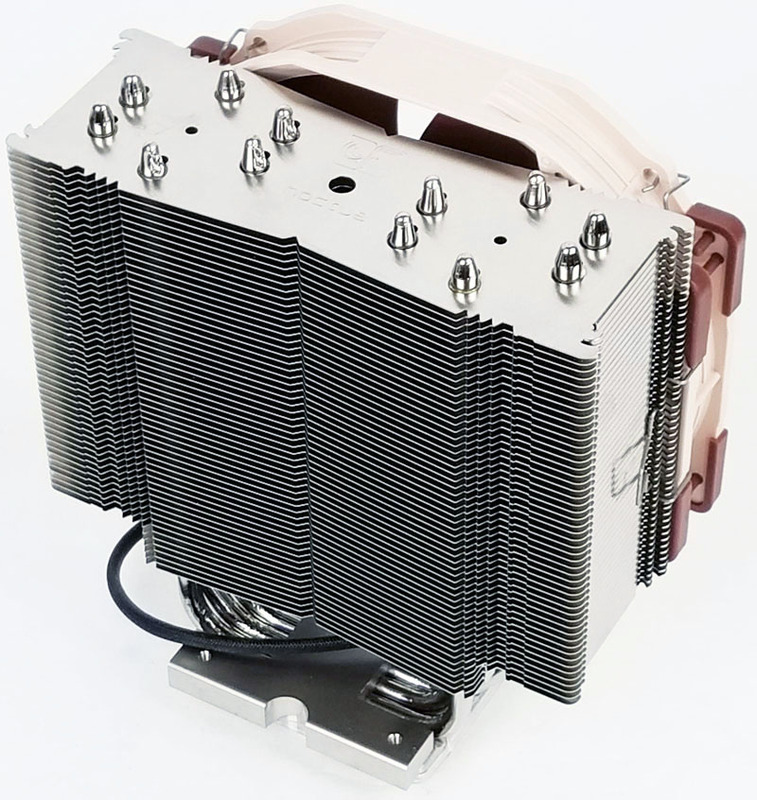 To cool these large tower heatsinks, Noctua uses a custom designed 140mm PWM controlled fan. 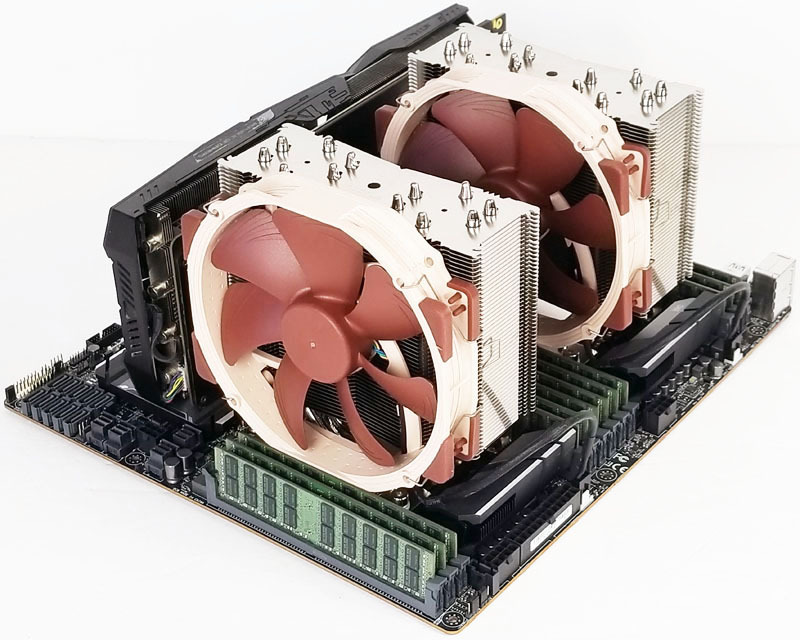 We have used many LGA3647 processors and find them to be rather hot running under loads, so we see these large cooling fans a welcome addition. 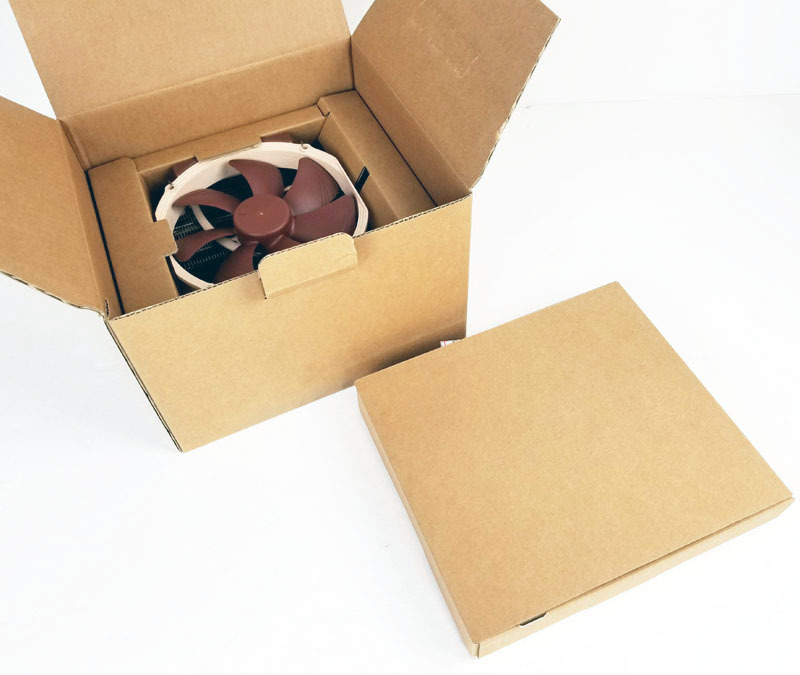 We have used many Noctua heatsinks here in the lab; we see the packaging is similar to other Noctua coolers. It is very compact and well protected through folded cardboard inserts. The main box includes an accessory box that lifts out and gives access to the cooler underneath. Let us open the accessory box and take a look at whats included. We see mounting brackets, CPU carriers, instructions, and extra Anti-vibration pads and clips for a second (optional) NF-A15 cooling fan. The Noctua NH-U14S DX-3647 includes mounting brackets and CPU frames for both Narrow and Square socket LGA3647 setups. You can read more about the differences in: Narrow ILM v Square ILM Socket LGA 3647 Heatsink Differences. Here we see a front view and notice the six heat pipes are staggered to achieve optimal cooling. Let us rotate around the Noctua NH-U14S DX-3647 to get unobstructed views of the front and back. 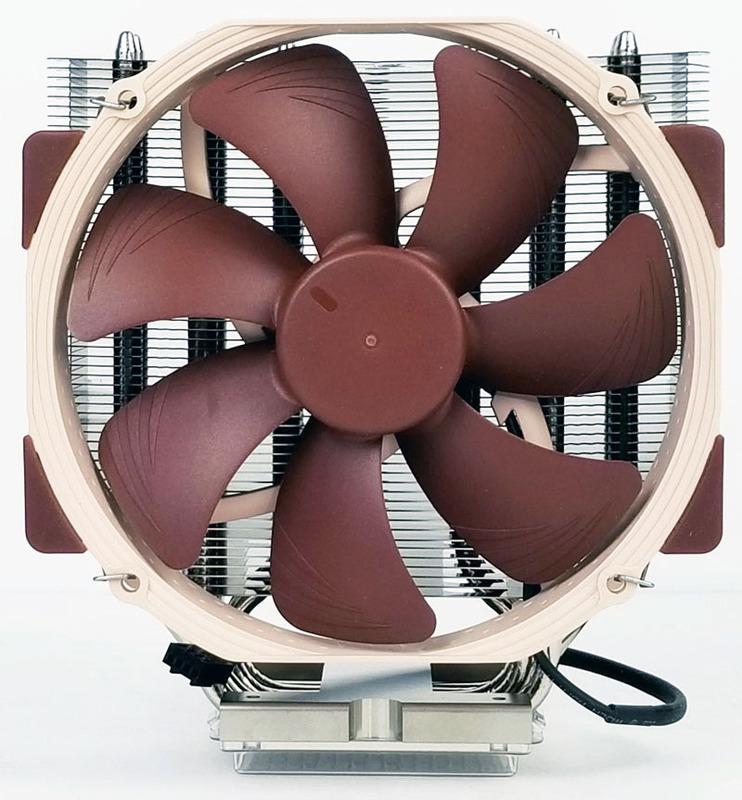 Like other Noctua heatsinks the build quality is top notch, perhaps the best air-coolers we have seen and used. The large 140mm Noctua NF-A15 fan clips onto the sides of the cooler which gives a nice secure mount. Anti-vibration pads at each corner of the fan reduce vibrations and help to secure the fan against the cooling fins which prevents the fan from sliding around. The nickel-plated copper base covers the Skylake-SP Xeons and comes with the pre-applied thermal compound and plastic cover to protect the surface until its time to mount the cooler. The pre-applied thermal compound is a considerable time and material saver as we can attest with the amounts of TIM we go through here in the lab. For the truly obsessed with lower temperatures, you may want to wipe this off and use a custom TIM. 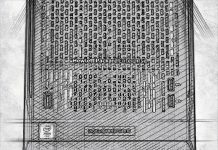 For the majority of builders, especially high-performance workstation design shops, saving labor during installation is a welcome benefit of pre-applied TIM. Here we see the two types of mounting brackets included in the kit; these support Narrow and Square style LG3647 sockets. 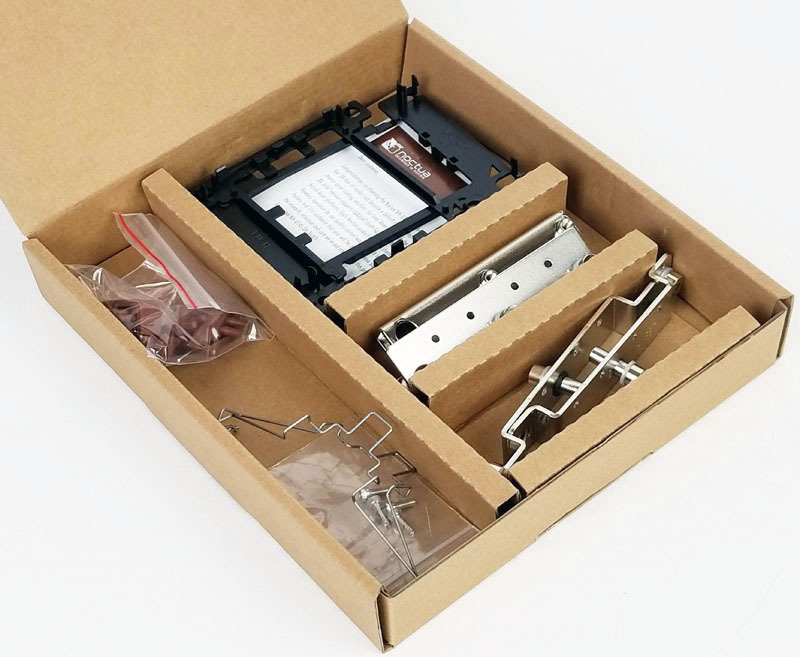 Noctua calls this system SecuFirm2 which come equipped with pre-installed mounting screws and processor clips or frames. Processors that use Omni-Path fabric connectors will need to contact Noctua for processor clips. They are different shapes, and do not work in all motherboards, as we showed in our piece: Intel Skylake Omni-Path Fabric Does Not Work on Every Server and Motherboard. We feel Noctua has filled a significant market need with the SecuFirm2 mounting brackets. Some coolers in the market can only support a single socket type. 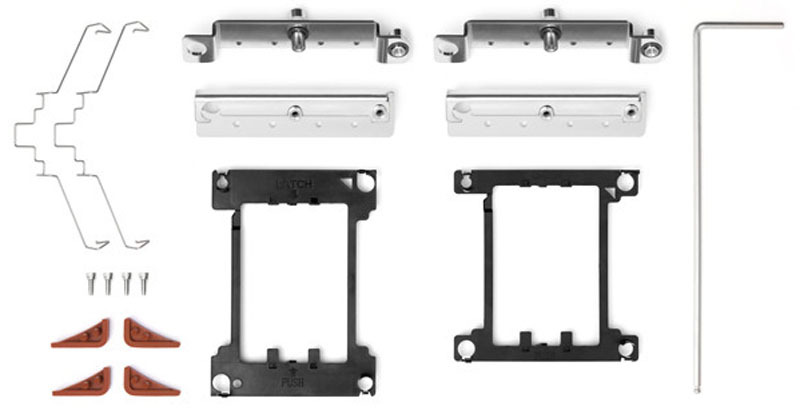 With SecuFirm2 you can switch socket types by merely using the required mounting bracket. Installing the SecuFirm2 mounting brackets is simple, two screws secure the brackets to the heatsink base. The next step is selecting the correct processor clip that corresponds to the socket type and inserting the processor into the clip. Then insert the processor/clip assembly onto the heatsink base. Now that we have the SecuFirm2 brackets and processor/clip assembled let us mount the heatsinks to our motherboard. We will be using our ASUS WS C612 E Sage motherboard for our tests; here you can see what the system looks like with both NH-U14S DX-3647 heatsinks mounted and ready to go. The first thing you will notice is these heatsinks are large and take up a lot of space. 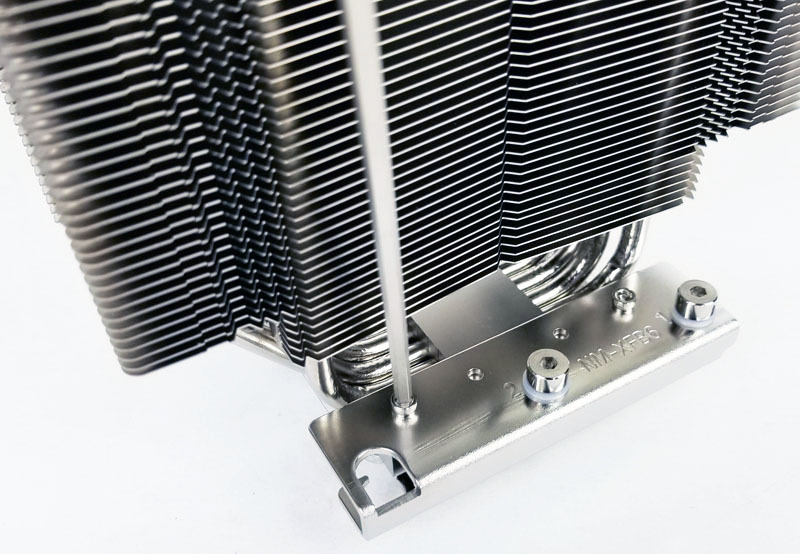 Because of the nature of the LGA3647 sockets, these heatsinks do not allow it to be rotated 90 degrees to direct air-flow towards the top of your case; this is not a huge problem and no other heatsinks we have used allowed for direction change. The width of the heatsinks also covers the first PCIe Slot which might interfere with some setups; some motherboards might not have this issue. There is also ample space for additional NF-A15 fans which are optional. Here is out Noctua NH-U14S DX-3647 Test Configuration. We used high-frequency, large cache, Intel Xeon Gold CPUs which we would expect to find in professional engineering workstations. In this domain, per-core performance is optimized due to high software license costs. We run our tests using AIDA64 Stress Test with fan speed profiles set to Auto and Full Speed. We also used the pre-applied thermal compound when testing the DX-3647. 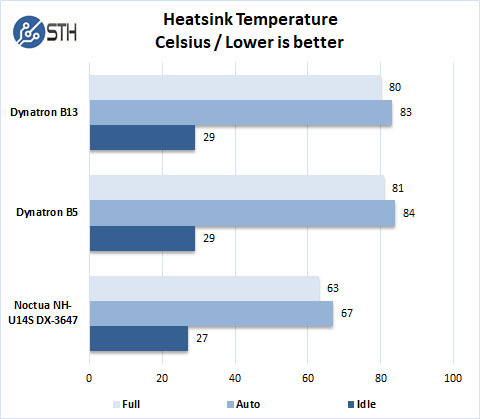 As we can see, using the new Noctua NH-U14S DX-3647 heatsinks shows a dramatic effect on cooling with our test system with close to 20C difference in some cases. It is fair to note that the Dynatron heatsinks are 2U size and more suited for a 2U server. At the same time, we have seen several “professional” workstations with these heatsinks. 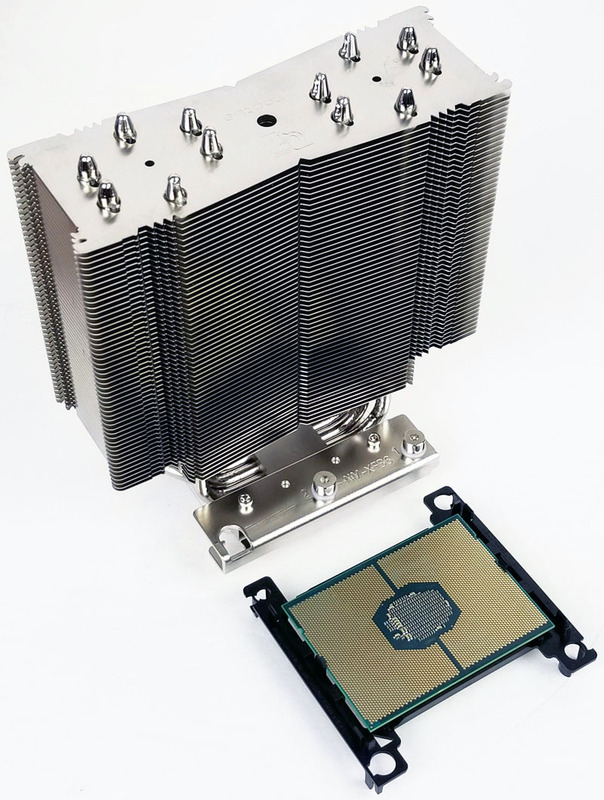 Until this point in time, we had few choices for heatsinks on the LGA3647 socket for our workstations. Most of these choices were 2U size active heatsinks that spun up to uncomfortably loud noise levels and still ran very hot. There were a few 3U size heatsinks available, but these did not offer much in better performance and ran loud at higher fan speeds. Also, there were different coolers for each socket type, narrow or square. 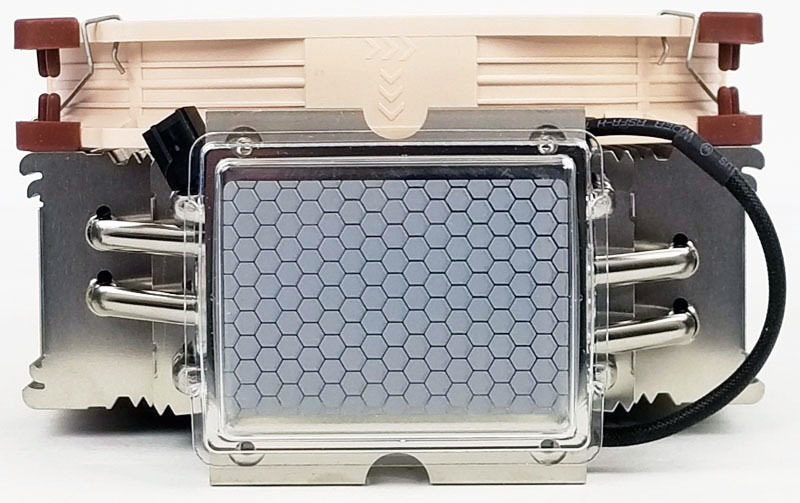 A few aftermarket water cooling block became available for those that are looking at water cooling, generally this cost as much as double per block and all the added components made this route very costly. 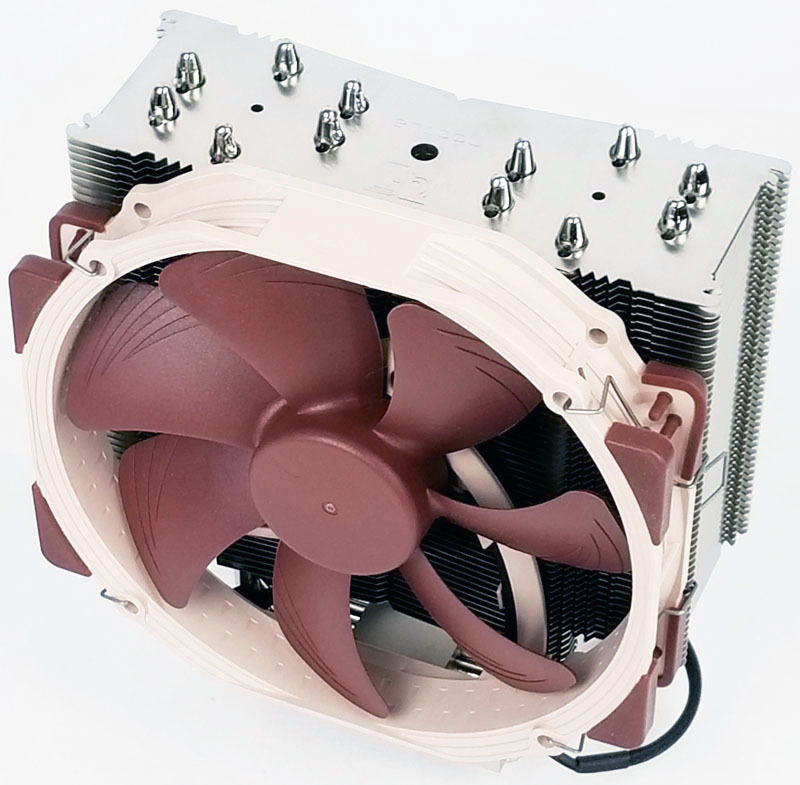 Noctua broke the mold with their new NH-U14S DX-3647 cooler. It can handle both narrow and square sockets with Noctua’s SecuFirm2 mounting system, and the oversized NF-A15 PWM fan excels at keeping the heatsink cool and makes little noise. 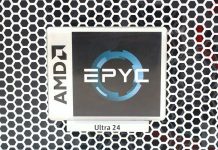 If you are building a high-end Intel Xeon Scalable workstation for yourself or for your clients, you should look at these coolers. Undoubtedly the Noctua NH-U14S DX-3647 heatsink is massive compared to most LGA3647 heatsinks. As a result, it will not fit most standard 4U workstation cases. 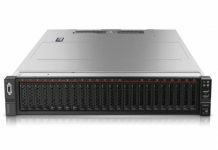 We could not install the DX-3647 in our testing workstation based on a Supermicro SC747. This is a 4U workstation case as the NH-U14S is too tall. Our main workstation based on a Thermaltake Core X9 which is oversized for most users, it does handle the DX-3647 and has plenty of space left over. To address the size question, Noctua offers choices here with their new CPU coolers for Intel Xeon Scalable LGA3647 platforms. Here is the basic listing which includes a 4U offering. We have not tested the other two coolers yet. Given Noctua’s excellent reputation and the class-leading performance of the Noctua NH-U14S DX-3647, we would certainly look to these if we had space constraints. I have tested all 3 and a couple of the dynatrons. The noctuas do a very good job of cooling and are very quiet. I also tested a dynatron L13 aio water cooler for this socket. It kept the server the coolest and was only $65. The pump on the L13 was a bit loud however the fan (120MM) was pwm and was quiet. I wound up using the nh-d9 as it was the quietest and the only noctua that would fit.